Five inch wide laminated foam waist pad that retrofit..
Five inch wide laminated foam waist pad that retrofits onto any belt up to 2.5 inches wide. Prov..
5 inch wide laminated foam waist pad with rear D ring for..
5 inch wide laminated foam waist pad with rear D ring for use in work positioning and tactical situa.. Comfortable 5 inch wide laminated foam waist pad easily s.. 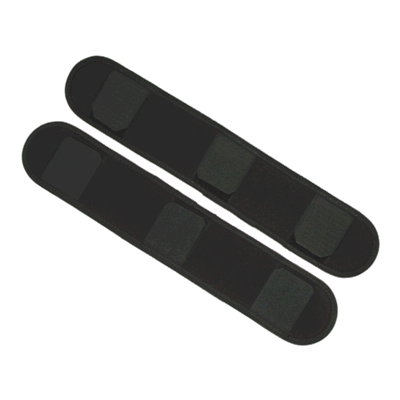 Comfortable 5 inch wide laminated foam waist pad easily slides on to fit most unpadded Yates rescue ..
1/4 inch thick laminated foam pads. Used on any unpadded ..
1/4 inch thick laminated foam pads. Used on any unpadded shoulder portion of Yates full body harness.. Designed to compliment the Yates Fall Safe Harness to add.. Designed to compliment the Yates Fall Safe Harness to add comfort where long hang times may be encou..